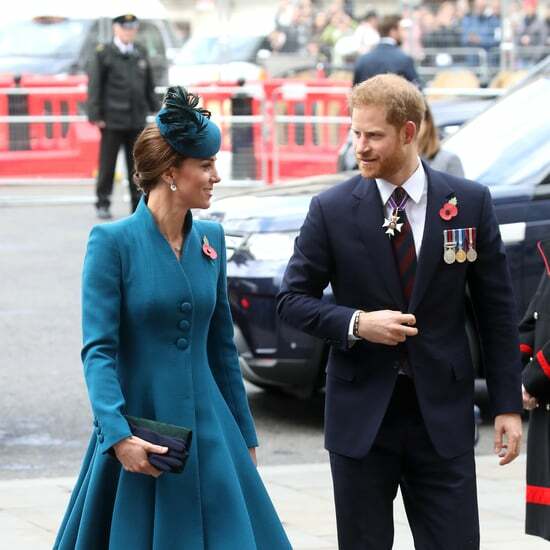 Following a night at the Royal British Legion Festival of Remembrance, Meghan Markle, Prince Harry, Kate Middleton, and Prince William reunited once again to honor those who have suffered and died at war during the annual Remembrance Sunday service in London on Nov. 11. 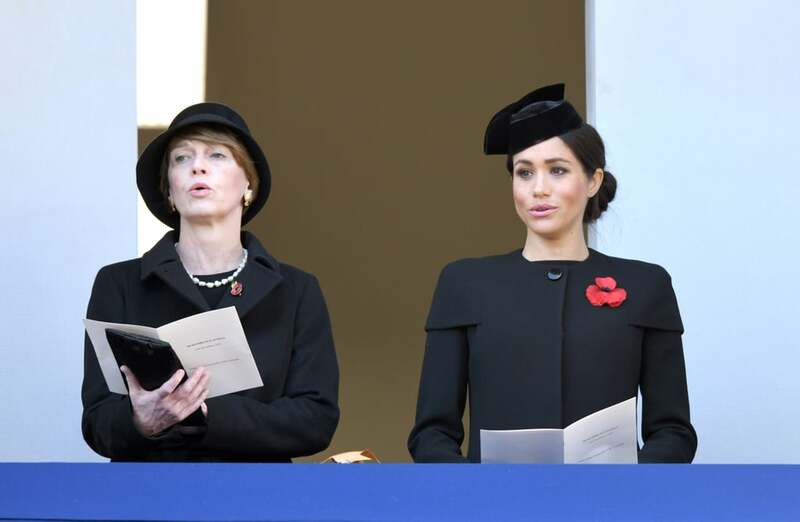 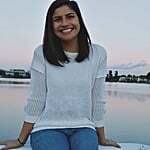 This marks the first Remembrance Day service for Meghan, who did not attend as Harry's girlfriend last year. 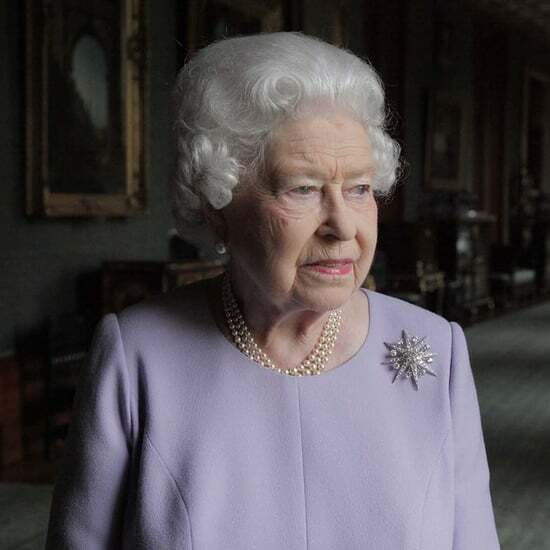 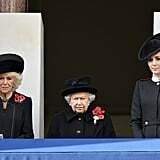 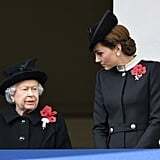 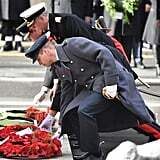 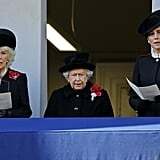 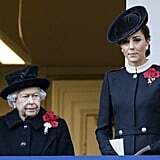 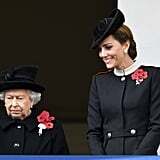 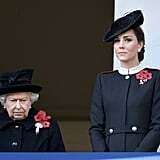 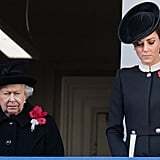 During the service, Harry and William laid wreaths at The Cenotaph, while Queen Elizabeth II, Kate, and Camilla Parker Bowles watched from a balcony. 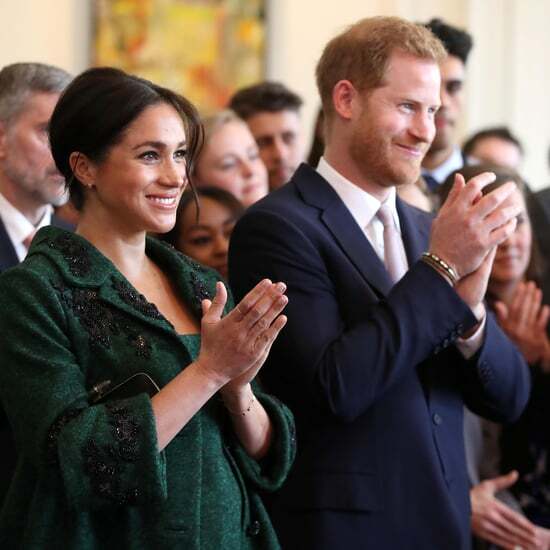 Meghan viewed the proceedings from a separate balcony with German President Frank-Walter Steinmeier's wife Elke Budenbender. 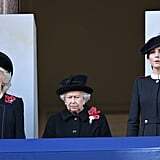 Despite reports that the Fab Four are distancing from each other, this separation is likely less of a slight, and more of a dedication to the traditional pecking order. 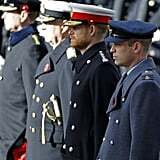 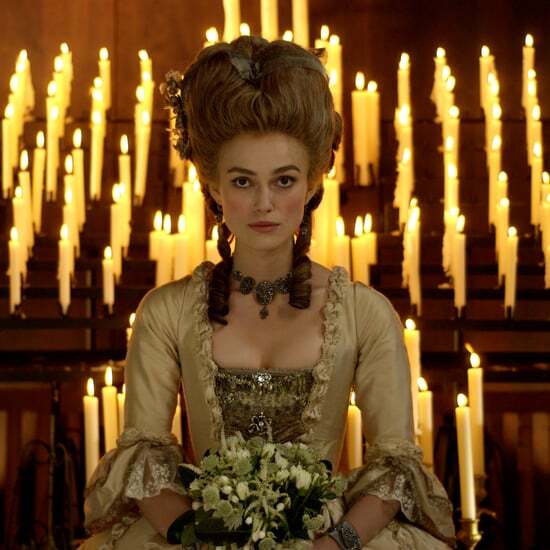 See more photos from the royals' appearance below.